The CUBE DOL is an intelligent motor controller designed and manufactured by SUBCOE for the protection, control, monitoring, and data acquisition of 3–phase AC motors. Its features make it suitable for a wide range of oil field and industrial applications such as Electrical Submersible Pumps (ESPs), Horizontal Pumping Systems (HPSs), and Progressive Cavity Pumps (PCPs). 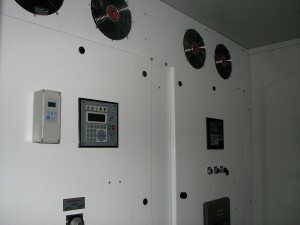 The CUBE DOL monitors the 3–phase power supply feeding the motor through interface devices such as Potential Transformers (PTs), Advanced Voltage Monitor (AVM), Rogowski Coils (RCs), and Current Transformers (CTs). Reverse Rotation & Ground Fault Sensing features are incorporated to monitor the non powered rotation and cable fault. These features are obtained by applying advanced logic functions based on monitored changes in the controlled/protected system while maintaining a full host of memory and communications options inclusive of distributed networking and Internet remote control. The CUBE DOL is also designed specifically to interface and operate with a range of pump company and independently manufactured Downhole Tools (DHTs), integrating the control and monitoring for ESP in one unit, thereby replacing proprietary surface panels. 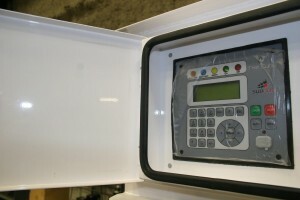 The communication features of The CUBE includes (1) front and rear USB ports, (2) RS485 master/slave ports, (3) on-board 4×20 character transflective display screen with LED backlights, and (4) intuitive full data entry keyboard (keypad) for fast and accurate entry of user data and programming set points. The USB ports are multifunctional and can be used for downloading log files and trending information to a standard USB pen drive, firmware updates, and communication with external modules. Standard TCP/IP protocols are used for communication between The CUBE and PC devices. The CUBE is fully Modbus® compatible through a dedicated RS485 connection.